Children born now could live to see the oceans rise well over a metre by 2100. Even conservative forecasts of sea level by 2100 are now rising above the metre mark for high emission scenarios. The last report from the Intergovernmental Panel on Climate Change in 2013 concluded that sea level could rise between 0.3 and 1 metre by 2100 depending on how much carbon dioxide we emit. Now a study by Tamsin Edwards of King’s College London has added 0.2 metres to that. “Our likely range is about 20 centimetres higher,” says Edwards. Other studies have come to similar conclusions. In fact, the IPCC is set to up its projections: according to a leaked version of an upcoming IPCC report, sea level will rise by as much as 1.3 metres by 2100. In the US alone, a 0.9 metre rise in sea level rise would displace 4 million people. Global average sea level has already risen around 0.3 metres since 1880. There are three key questions about what happens next: How much higher will the sea rise for a given amount of warming? How fast will it rise? And will the loss of some ice sheets become unstoppable once set in motion, as several recent studies suggest? The only way to find out is by looking at the past and using computer models. But our knowledge of past sea level changes is poor, and computer models of ice sheets are relatively new and crude, so there are huge uncertainties. The 2013 IPCC estimate of up to 1 metre assumes hardly any contribution from Antarctica. However, as the report itself acknowledged, many researchers think the unstable West Antarctic sheet could start to lose a lot of ice long before 2100. 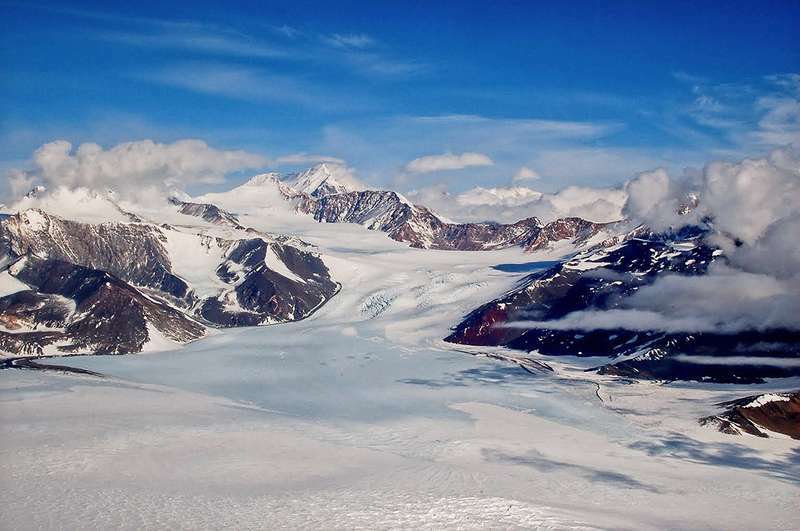 In 2016, a team led by Rob DeConto of the University of Massachusetts-Amherst published a study suggesting that the Antarctic ice sheet alone could contribute more than a metre to sea level rise by 2100. They said this could lead to around 3 metres of sea level rise by 2100. DeConto’s controversial estimate was much higher mainly because the team’s model assumes that if the floating ice shelves off Antarctica are lost, the exposed edges of the ice sheets resting on the seabed will become unstable. “If the ice shelves are lost, tall ice cliffs will become exposed, and the ice will break,” he says. DeConto’s model could reproduce some past changes in sea level, giving some credence to its forecasts. Now Edward’s team has shown that these past changes can also be explained without assuming that exposed ice cliffs are unstable. Edwards’ study set out to question DeConto’s results, but in doing so, the team still came to the conclusion the the 2013 IPCC study underestimated ice loss from Antarctica. Now the planet is heating up at an unprecedented pace due to human emissions. “Even with these new papers, I believe that sea-level rise under strong warming could be large and rapid,” says Alley.